Along with the flagship Moto X and Moto 360 smartwatch, Motorola took the wraps off of its follow up to the the company’s best-selling smartphone thus far, and we were able to spend some time with it. 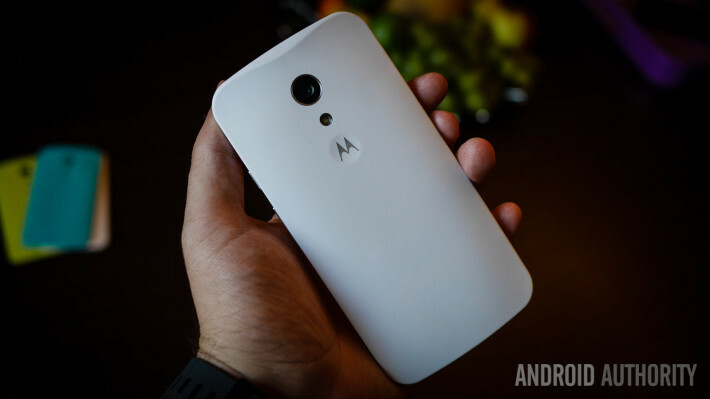 We go hands-on, and give you our first impressions about the new Moto G! The design language of the new Moto G is almost identical to its predecessor, with the obvious exception of its larger size, courtesy of a larger 5-inch display, and the inclusion of front-facing speakers. You still get the curved soft touch plastic back, which also replaceable by a slew of coloured shells. Understandably, it’s not the most premium feeling phone, but comes with a solid build quality that seems to be beyond its very reasonable price tag. The display has received a bump in size to 5-inches, up from the 4.5-inch display of the original. The resolution, at 1280 x 720, remains the same however, resulting in a reduced pixel density of 294 ppi. That said, the display will offer a more than decent media viewing experience though, with good color reproduction, good brightness, and great viewing angles. Things remain the same under the hood as well, with a quad-core Qualcomm Snapdragon 400 processor, clocked at 1.2 GHz, Adreno 305 GPU, and 1 GB of RAM. Internal storage available include 8 GB and 16 GB, but you now have the option of expandable memory via microSD card, up to 32 GB. While the microSD expansion will be appreciated, the lack of a significant change in the processing package could be disappointing to some. The cameras get an upgrade though, with the new Moto G now featuring an 8 MP rear camera, and a 2 MP front-facing camera, which should offer better image quality than the camera setup on its predecessor. On the software front, the new Moto G runs a version of Android 4.4.4 Kitkat that is very close to stock Android, with the exception of a few Motorola applications and features. You also have the guarantee of an upgrade to Android L, which is a rare possibility with quite a few mid-rangers out there. 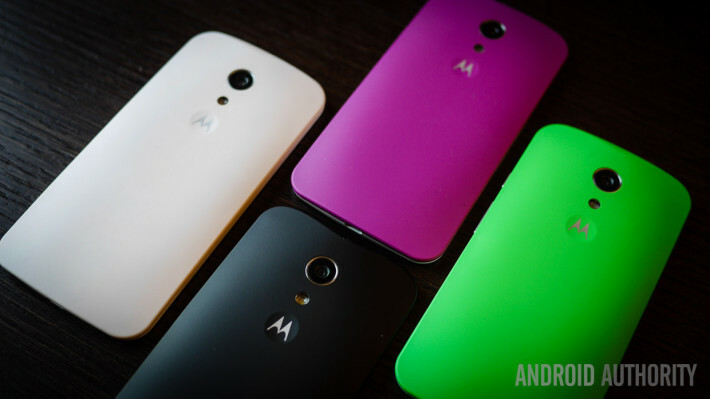 So there you have it – our first look at the new Moto G! You get a larger display, a better camera, a great software experience, and the option of expandable memory, and front-facing speakers, all for the same price of $179. While the lack of an upgrade to the processing package is a little disappointing, the performance is still as smooth as ever, and the new Moto G, just like its predecessor, should be one of the best mid-range devices around.